Our own Jerry Fromm and Scott Mohr were on last night’s KSFY News​ broadcast. They discussed the dangerous weather conditions for crews working outside. 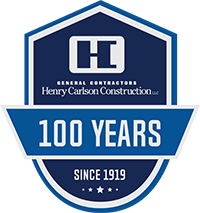 Henry Carlson Construction crews will not be doing any outside work today through Thursday morning. Our office will be open tomorrow, but employees can stay home because of the low temps and wind chills. Please stay warm and safe!